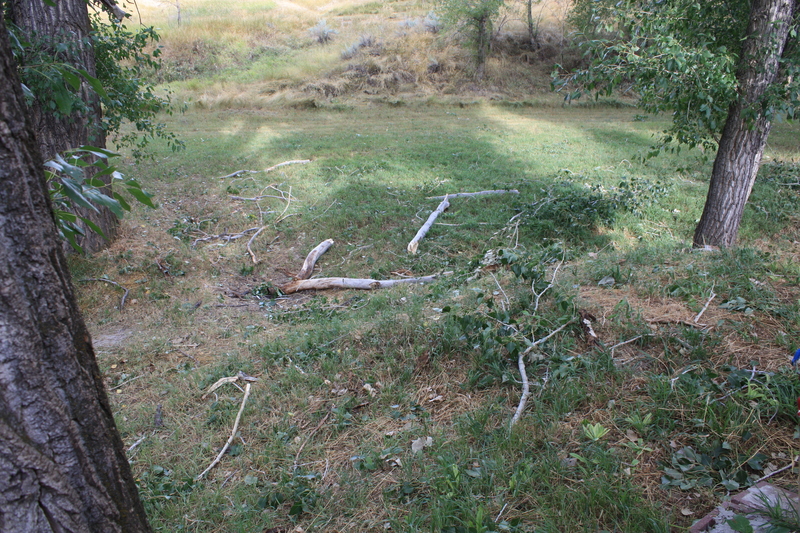 looks like a few twigs fell . . . .
“Who has seen the wind? Neither I nor you, but when the leaves hang trembling, the wind is passing through. Who has seen the wind? Neither you nor I. But when the trees bow down their heads, the wind is passing by.” Poem by Christina Rosetti. New addition? 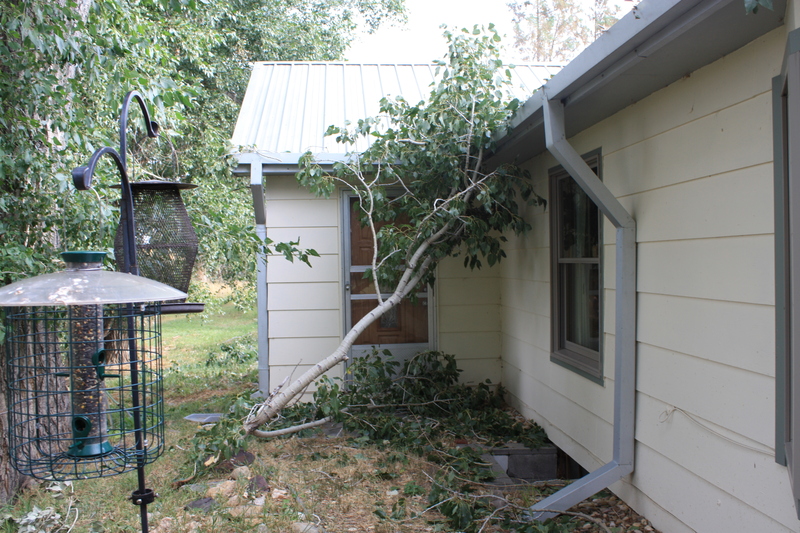 . . . .
Not to belabor weather-related disasters of late, but we recently had wind gusts that lifted the tin roof off Neighbor Tom’s shed and blew down huge limbs from our cottonwoods. 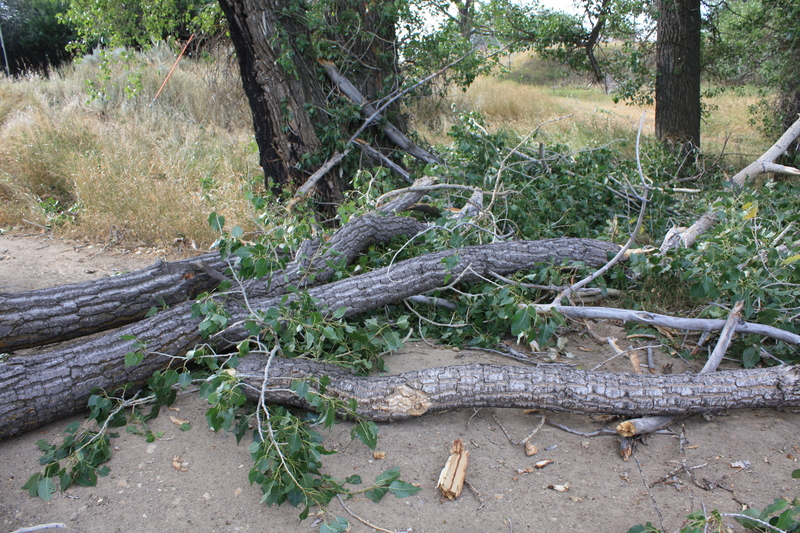 Our road was effectively blocked causing some minor disruption, and limbs were down and strewn across the ground in every direction. looking like wind . . . . It took two big burly guys most of a morning with chain saws to clear the road and we will be weeks cleaning up the rest of the mess. Oh aching backs! 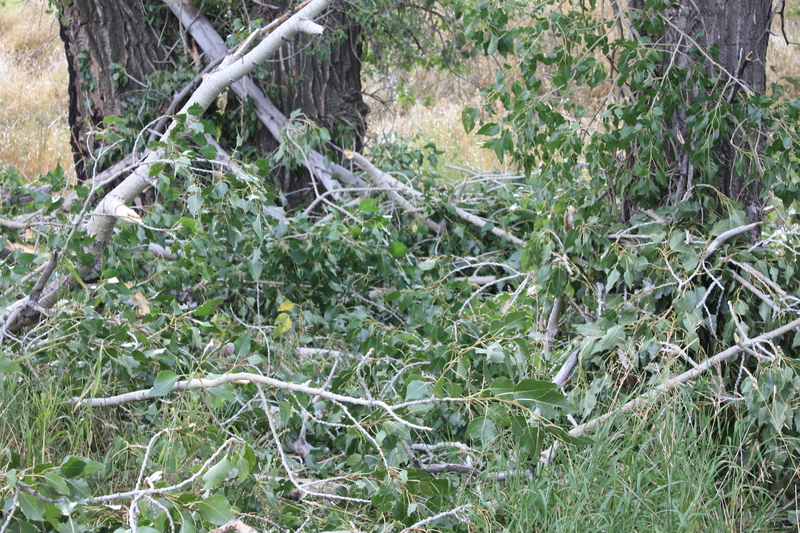 Wyoming is known for its wind and it was estimated gusts up to 80 mph blew across the area. too big to rake, too small to drag . . . .
Wonder how many semi truck trailers were left along the Interstate?